How Many Germs Are Your Hands Harbouring? It can be difficult to comprehend just how dirty our hands can be sometimes – after all, it’s not like we can see bacteria with the naked eye. Many of us don’t realise quite what our hands could be harbouring and how hand washing and hand sanitiser can help to combat the problem, so let’s find out. How many germs are on your hands at any one time? It’s fair to say a lot of them, particularly if you haven’t washed your hands recently. Every time you touch an object or shake someone’s hand, you are probably picking up bacteria and potentially viruses too. We’re estimated to have around 1,500 bacteria living on each square centimetre of the skin on our hands. Areas such as underneath the fingernails and between the fingers often harbour even more. 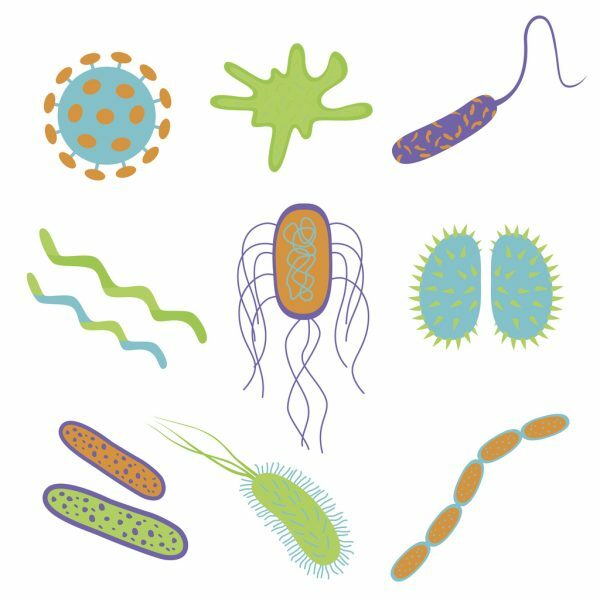 While some bacteria are good for us, some of the external germs we can pick up can potentially cause health concerns and infections – especially in a healthcare or food preparation scenario. Depending on where you’ve been and who you’ve been interacting with, viruses on your hands could include the common flu virus, or even norovirus which causes the viral gastroenteritis that can so rapidly spread through retirement homes and cruise ships. It’s all too easy for these germs and viruses to make their way to our mouths and noses as we touch our faces or eat throughout the day. What are the benefits of handwashing or alcohol based hand rubs? Handwashing and hand sanitisers can have a profound impact on improving hand hygiene and reducing the spread of undesirable germs and viruses. In two separate studies it was found that hand washing could reduce diarrhoea illness episodes by about 30% and the risk of respiratory infection by 16%. These two types of illness kill millions of children every year in developing countries where general hygiene is an ongoing problem, which is why there are programs to improve hygiene awareness and practices. Here in Australia, we’re lucky that the benefits of handwashing are clear and we can maintain health and wellbeing through good hand hygiene. When the advantages of cleaning hands are so obvious, it’s incredibly important to make this process as simple and accessible as possible in public facilities where many people interact and share spaces. Soap dispensers, sanitising rubs, paper towels and high speed hand dryers all play their part in a hygienic facility. Building managers have the responsibility of selecting hand hygiene products that will withstand the test of time and provide easy hand hygiene methods, helping to control the pathogenic micro-organisms that can cause problems. For assistance in choosing hand dryers and other products for your needs, contact Davidson Washroom today.